Dr. Glidden has practiced orthopaedic surgery in the Plano,and North Dallas area since 1984. 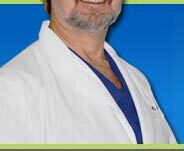 He is board certified in the care of acute and chronic bone, joint, ligament, muscle, tendon and peripheral nerve disorders. Can be successful treated without Surgery. If your condition does warrant surgery, state of the art techniques such as arthroscopic surgery or minimally invasive joint replacement, Dr. Glidden is "Oxford trained" in the unicondylar/partial knee replacement.